The family room features a bedroom, a sitting area and a fully equipped kitchenette. Every room features a balcony overlooking the Baltic Sea. The room comes with a bathroom with a shower, toiletries, a hairdryer, TV, telephone, Wi-Fi and a fridge. Rooms are cleaned on weekdays. 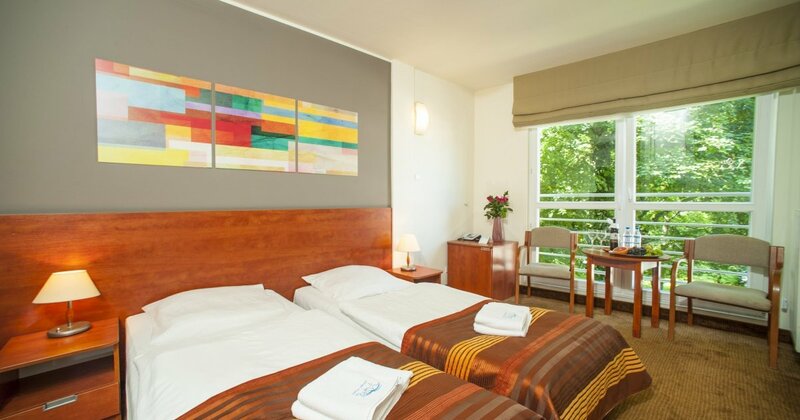 The family room rate is for 3 adults or 2 adults and 2 children under 16.